MPAQ is the leading professional body for the plumbing and gas industry in Queensland. MPAQ represents over 1,000 businesses ranging from sole operators through to medium sized businesses and large contracting firms, which equates to around 4,000 plumbing and gasfitting professionals. MPAQ’s aim is to promote the vital work that plumbers and gasfitters play in protecting the health and safety of our community and the importance of always using a licensed plumber or gasfitter. 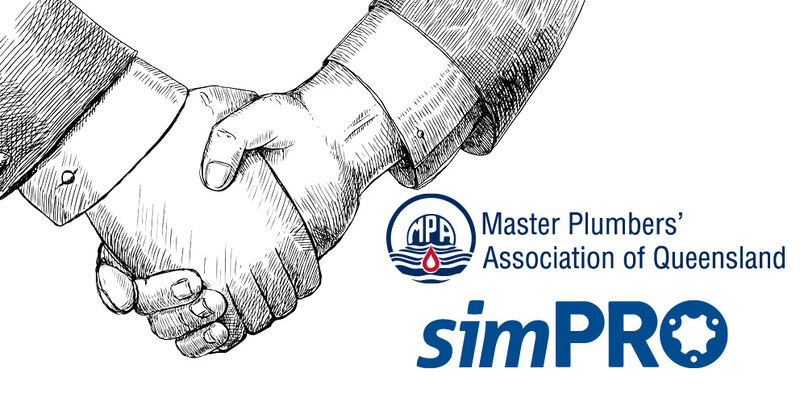 Peter Darley, General Manager of simPRO Australia, said he’s delighted with the renewed partnership with MPAQ. "MPAQ is a real asset to Queensland's plumbing industry and we're so pleased to be working with them," he said. "This partnership is bound to produce some powerful commentary on the trends and pain points that affect those in this sector, and how our solutions can resolve them." simPRO streamlines field service and job management by reducing paperwork and refining office to field processes, increases profit and maximises workforce productivity. With simPRO by their side, trade and specialty contracting businesses across Australia are offered the opportunity to not only grow, but also meet and exceed their goals. MPAQ Corporate Supporter membership is open to organisations supplying, manufacturing or servicing the plumbing and gas industry in Queensland. simPRO’s solution simplifies business workflow and job management for trade service, maintenance and project contractors - achieving this through the digitisation and systemisation of data and processes both in the office and out in the field. Their solutions are cloud-based, making access easy and storage simple, and are available to a variety of businesses throughout Australian trade and specialty contracting industries, including plumbing professionals, electricians, HVAC, security, solar, data networking, and others. With customers in Australia, New Zealand, the United States and the United Kingdom, simPRO provides global leadership for trade and specialty contractors worldwide.